103.7 WXCY presents Saw Grow When: Thursday, April 25, 2019 Where: The Queen, 500 N Market St, Wilmington, DE 19801 Tickets: Get Your Tickets Here! Cody Johnson When: May 16, 2019 Where: TLA, Theater of Living Arts, 334 South St, Philadelphia, PA 19147 Tickets: Get Your Tickets Here! 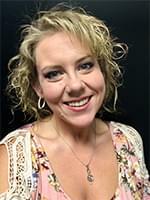 Jason Aldean featuring special guests Kane Brown, Carly Pearce, and Dee Jay Silver! When: May 17, 2019 Where: Merriweather Post Pavilion, 10475 Little Patuxent Pkwy, Columbia, MD 21044 Tickets: Get Your Tickets Here! Luke Combs When: May 31, 2019 Where: Merriweather Post Pavilion, 10475 Little Patuxent Pkwy, Columbia, MD 21044 Tickets:Get Your Tickets Here! Willie Nelson & Alison Krauss When: June 19, 2019 Where: Merriweather Post Pavilion, 10475 Little Patuxent Pkwy, Columbia, MD 21044 Tickets: Get Your Tickets Here! Florida Georgia Line with special guests Dan + Shay, Morgan Wallen, and Canaan Smith When: Saturday, July 13 Where: BB&T Pavilion, Camden NJ Tickets: Get Your Tickets Here! Brad Paisley with Chris Lane and Riley Green When: Saturday, August 10 Where: Jiffy Lube Live Tickets: Get Your Tickets Here! 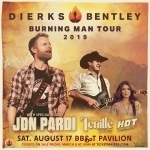 Dierks Bentley with special guest Jon Pardi and Tenille Townes When: August 17, 2019 Where: BB&T Pavilion, Camden, NJ Tickets: Get Your Tickets Here! Rascal Flatts with Jordan Davis and Morgan Evans When: Saturday, August 24 Where: Jiffy Lube Live, Bristow, VA Tickets: Get Your Tickets Here. Jason Aldean with Kane Brown and Dee Jay Silver When: August 25 Where: BB&T Pavilion in Camden, NJ Tickets: Get Your Tickets Here. Zac Brown Band When: September 6, 2019 Where: BB&T Pavilion, Camden, NJ Tickets: Get Your Tickets Here!